THIS IS A SEASONAL FURNISHED RENTAL. Leased through May 13th, 2019. Completely furnished with all amenities your heart desires in a SUPERB LOCATION within walking distance to LGO, POSTINO WINE BAR & more! END UNIT away from 40th St. Unit 24's covered parking spot is right behind the unit. 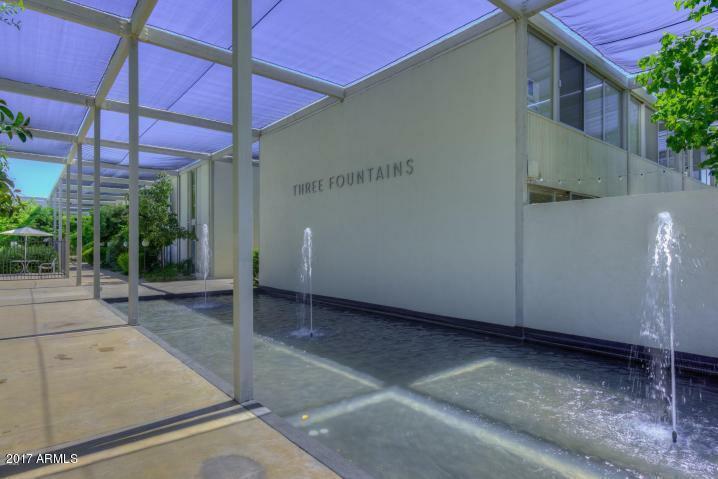 The complex has a lovely entry to greet you with fountains and lush common grounds. Saltillo patio off of living room, 2 community pools to relax by, 1/2 bath on main floor and 2 bedrooms, 1 bath upstairs. Cool concrete floor on main floor. In unit washer/dryer.